The word "sustainable" has become a buzz word, thanks to our renewed awareness of environmental changes. The Earth is pleading for help—our resources are not as abundant as they used to be. That said, small adjustments in our lifestyles will contribute significantly to reducing our carbon footprint and waste. 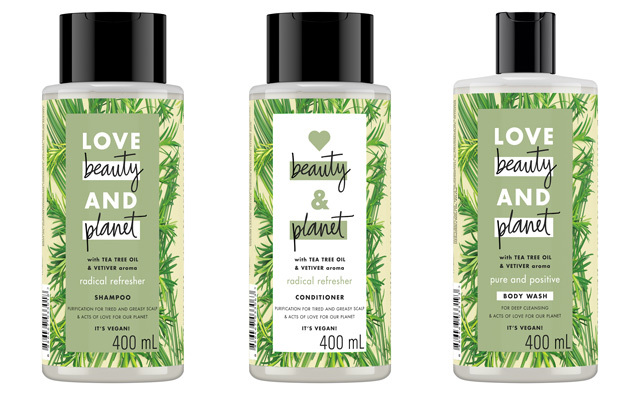 Enter Love Beauty And Planet, a sustainable beauty brand that has YOU and the environment in mind with their every step. And you'll be impressed that this is a project of Unilever, a mega brand of consumer goods. This is the company's initial response to the changes happening to Earth, without sacrificing the needs of their customers. So, how does Love Beauty And Planet "love the planet? They use 100 percent recycled plastic for their bottles. 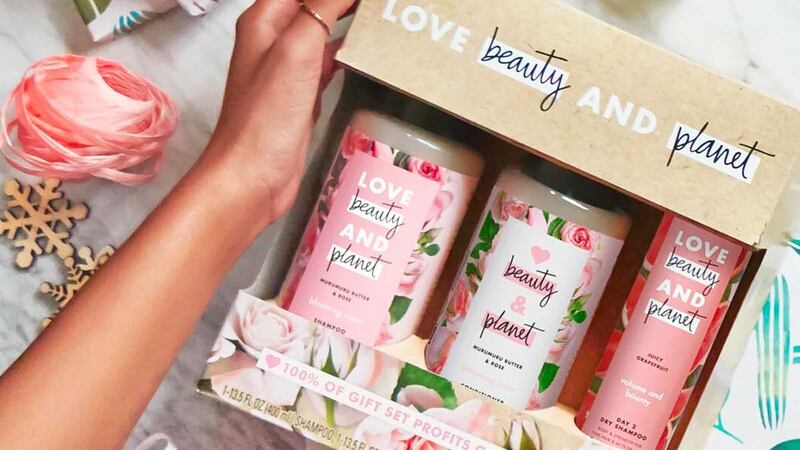 Their ingredients are cruelty-free, vegan, and sustainably sourced. Their products, especially their Fast Rinse Conditioners, consume less water when used. And how do they love beauty? 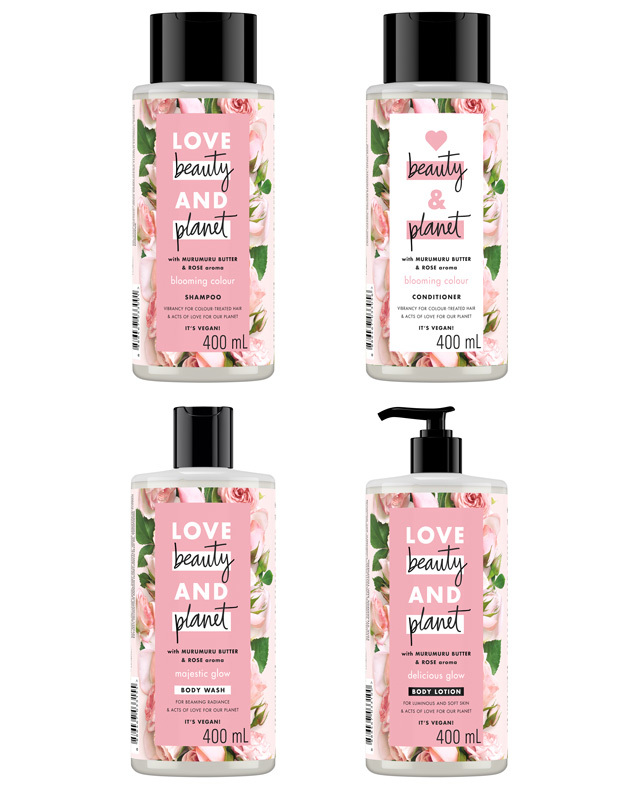 Love Beauty & Planet's initial offering here in the Philippines (they've got a more extensive line in the US) are shampoos, conditioners, body washes, and lotions. All make you look and feel good—we've been roadtesting their products and we only have stellar reviews for them! 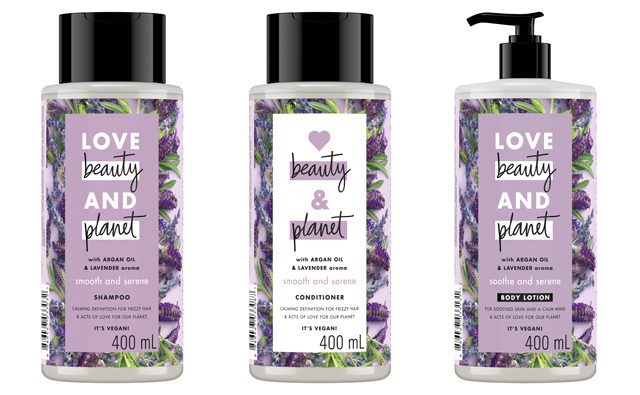 Composed of Radical Refresher Shampoo (P390/400ml), Radical Refresher Fast-Rinse Conditioner (P390/400ml), and Pure and Positive Body Wash (P290/400ml), this collection offers a clean, uplifting scent that will appeal to all genders. I personally reach for this set after a tiring day because the Tea Tree and Vetiver fragrance makes me feel more energized. The Blooming Color Shampoo (P390/400ml) and Blooming Color Fast-Rinse Conditioner (P390/400ml) will retain your dye's vibrancy with every wash. And because its star ingredients are moisturizing Murumuru Butter and Bulgarian Rose, layering Majestic Glow Body Wash (P290/400ml) and Delicious Glow Body Lotion (P390/400ml) will keep your skin smooth and delicately scented. Now, if you're into self-care and calming the mind, this collection is for you. French Lavender relaxes the senses, and Argan Oil keeps the frizz and dryness at bay. Smooth and Serene Shampoo (P390/400ml) lifts dirt without stripping out the hair's natural oils, and Smooth and Serene Conditioner (P390/400ml) seals the moisture in. Massage Serene and Smooth Body Lotion (P390/400ml) before bedtime so you can have a good night's sleep.